Day after day, authors all around the world lay back in their quiet working room, pouring out a part of their souls on a piece of paper. They do this for many different reasons: to be remembered, to inspire, to send a message, to talk to someone and so on. When a new book finally comes together, it begins a true journey from a bookshelf to another wishing only to touch curious hands and sensitive hearts. We want to tell you more today about this journey of a book. 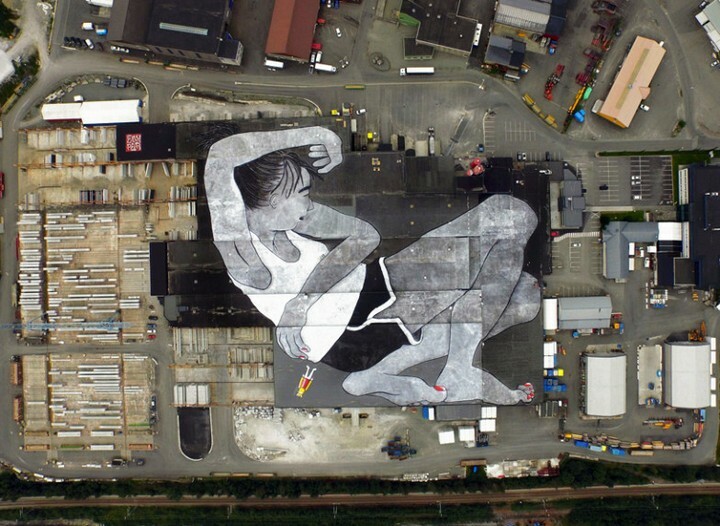 This is not a regular chronicle but it does have the power to inspire. 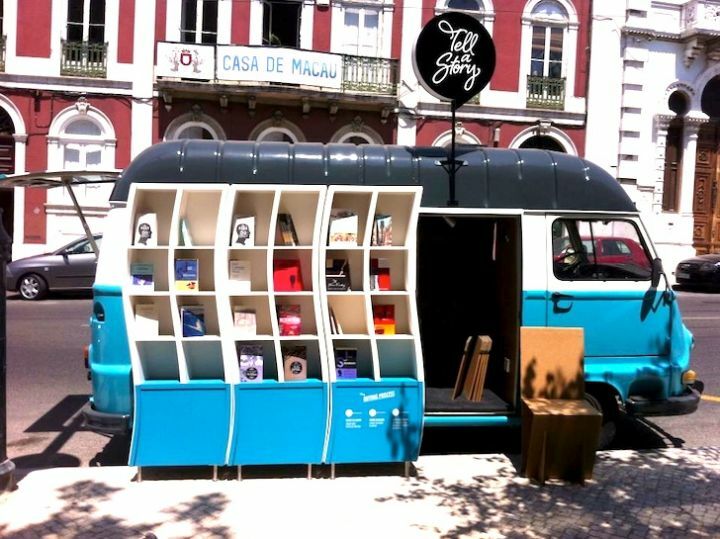 „Tell a story” has a very simple concept: a bookstore in a van, driving around Portugal to promote national literature all over the country. It all began when Francisco Antolin traveled to China and was surprised by people wondering on the streets in a van and selling a few school supplies for children. 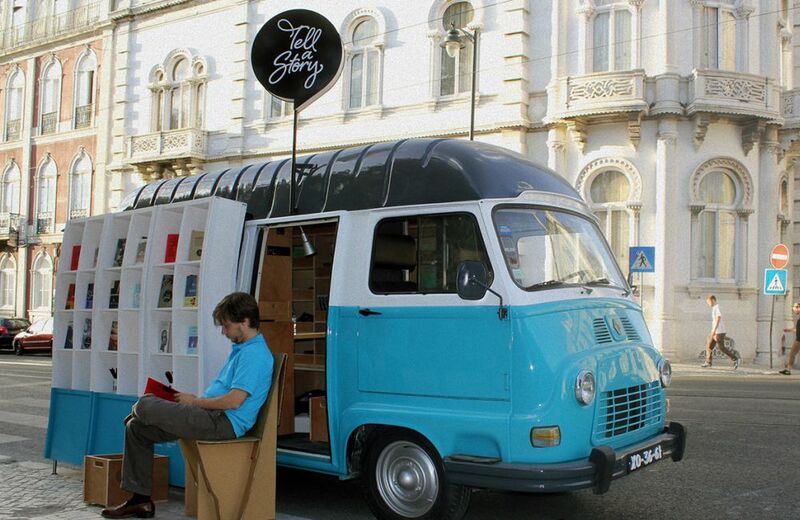 Later he bought a 1975 Renault Estafette which he restored beautifully and turned it into a bookshop. The reason he did it? 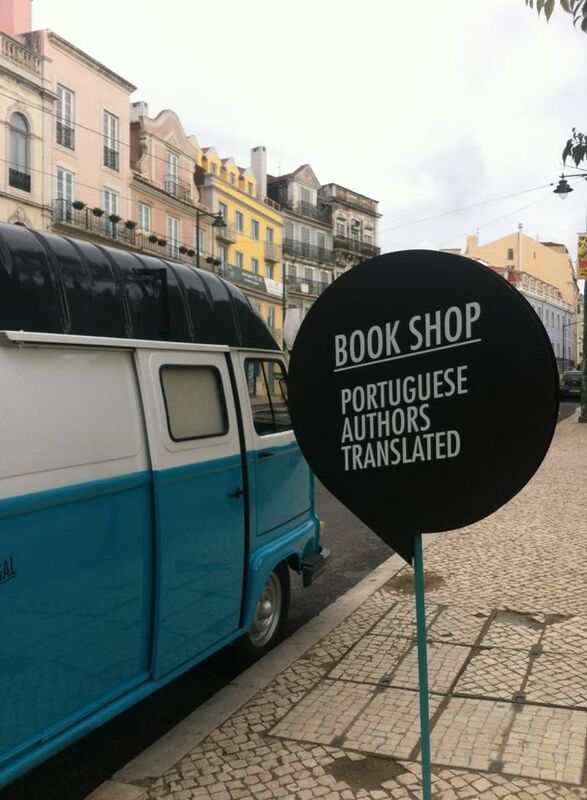 Because he wanted to defeat language barriers and allow the world to catch a glimpse of the wonderful tales of the Portuguese literature which were missed out because nobody translated them. 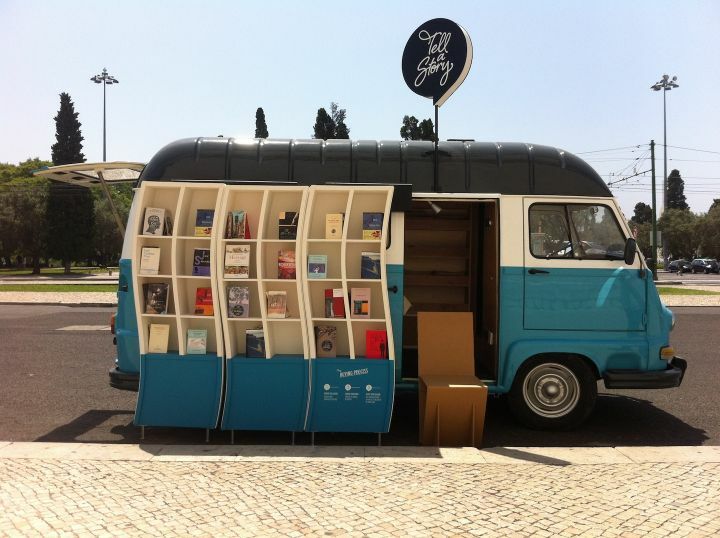 In this can roaming the streets of Portugal, tourists will discover Portuguese classics translated into English, French, German, Italian and Spanish. „Tell a story” envisions books as a living soul, meant to be tucked away in a lonely corner , but rather enrich the mind of human beings. 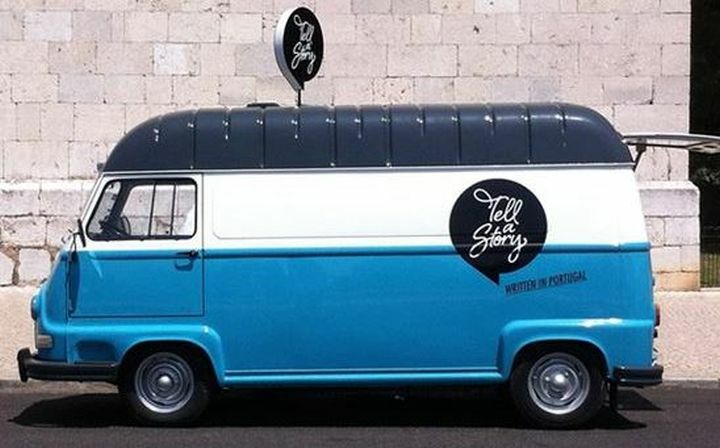 Van “guests”can also by pens and postcards to write their own stories. Stories are a great way to understand a culture. People really understand and react to them, so the small business found great success. 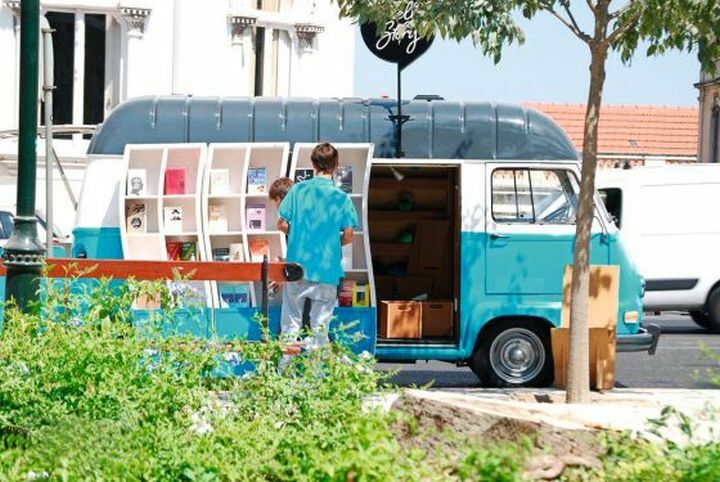 Book lovers come back to the van for the owners’ insights about a certain book or author, things that cannot be seen without the drive of passion and interest of a dedicated bookworm. It is the fascination of seeing the same thing from many different perspectives and all the experiences shared that make this story so heartwarming. The Portuguese owners do not follow a specific direction on their traveling, but they can be easily found just by checking their Facebook page. They are posting pictures of the places they visit and updates about their next stop. If you would ask the founders , they would tell you the long story short: many years ago, there was a country that was blessed with the gift of writing. An author really wanted to tell a story so he wrote a book. The book really wanted to be read by people from all over the world. And there they were: the adventurous librarians and the bookshop that was not meant to remain in the same spot. All these joined together, starting a wonderful story, written by Portugal. 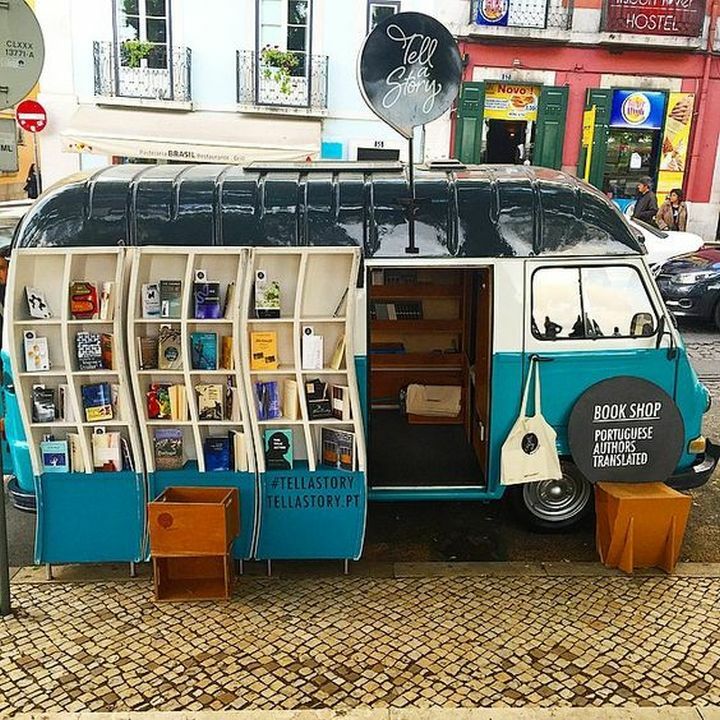 Do not believe us by heart and just look them up and see how marvelous they moved away from the tired old model of crowded shelves to bringing the love of reading right in the middle of the streets, in front of everybody. Hi, I am student filmmaker and really inspired by the story of Mr. Antolin. Hope to featuring him on a short documentary this spring break. Do you know if there is any way to reach out to him? Anything would be appreciated. Wish you best of luck with your project.